Stoke City are lying at the foot of the Premier League table after picking up a single point from their three outings so far. Although Mark Hughes' men have yet to find the form that clinched a ninth-placed finish last season, the Potters will be seeking to take advantage of a potentially prosperous run of matches. Once this weekend's home fixture against Tottenham Hotspur is out of the way, Stoke register a score of two or less in eight of the subsequent 10 matches, according to the Fixture Difficulty Ranking (FDR). This hands them meetings with Crystal Palace, West Bromwich Albion, Sunderland, Hull City, Swansea City, AFC Bournemouth, Watford and Burnley. Between Gameweeks 5 and 14, which takes us into early December, Stoke have only two testing fixtures - trips to Manchester United and West Ham United. Fantasy Premier League managers should be alert to such a promising schedule. The absence of Jack Butland (£4.9m) for around 10 weeks due to an ankle injury means that veteran Shay Given (£4.5m) is set to deputise. Given earned a 10-point return in the 1-0 loss to Everton, making eight saves, including a penalty stop from Leighton Baines (£5.5m). Potters' full-back Erik Pieters (£4.5m) is identically priced to the Irishman and is the most budget-friendly option in Hughes' preferred defence. The Dutchman is joint-top for chances created (three) so far for the Staffordshire outfit. Hughes will also be hoping that new arrival Bruno Martins Indi (£5.0m) can help shore up a defence which has yet to register a clean sheet so far. 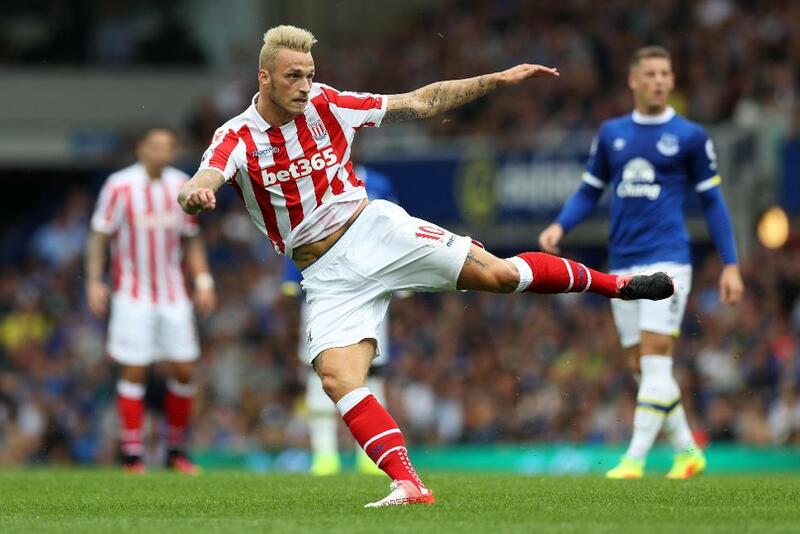 In midfield, with Xherdan Shaqiri (£6.4m) sidelined and Bojan Krkic (£6.0m) dropped to the bench last time around, Marko Arnautovic (£7.4m) appears the likeliest source of goals. The Austrian netted 11 times last term and, despite failing to score so far, has registered 16 touches in the box, eight attempts on goal and five shots inside the box. On all three counts, that is at least twice the number of any team-mate. Hughes’ deadline-day acquisition of Wilfried Bony (£7.3m) on loan from Manchester City could be good news for FPL managers. The Ivorian’s strength and hold-up play looks ideal as the lone forward in Stoke's 4-2-3-1 and should allow him to cement a regular role at the Bet365 Stadium. Despite falling out of favour at the Etihad, Bony offers the Potters a proven top-flight performer who bagged 17 goals and four assists in his debut season at Swansea City in 2013/14. Stoke's new striker grabbed a goal every 162.3 minutes that year and, if he can come close to emulating those displays, could offer excellent value for money in our three-man frontlines.